Edit: I changed the question from one arm with a shovel to two arms, with one with a circular saw and the other with a trowel, some time after the first answer of @Hobbes. I did this because in his answer it became clear that a shovel would not be practical. I thought a new answer like this one would be no option because it would have been marked as a duplicate. 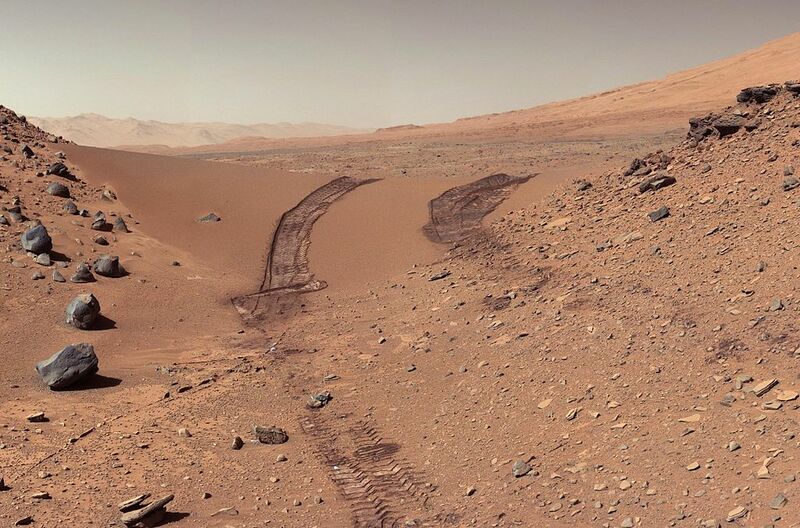 If there are signatures of past life on Mars, the chances are high that they are hidden by the regolith and the hard soil and rock on the surface. Curiositys view of Martian soil and boulders. Since one of the goals of the Mars 2020 rover mission is to look for signs of past life, would it not be helpful if the rover could remove regolith and hard soil and rock that possibly hide such signs ? A circular saw on a telescopic arm with the ability to cut into hard soil at different angles and a trowel to remove the loose soil on another arm, with both arms on the front of the rover could meet this demand. These extra tools could expand the capability of the core drill, which is designed to take samples with advanced techniques and needs careful working. The circular saw could loosen hard soil faster and go deeper with the telescopic arm. It could saw rock at different angles and orientation and isolate one piece of rock this way, for instance in an up side down pyramid shape. Would not a circular saw on one arm and a trowel on another on the Mars 2020 rover add scientific value? Every different type of thing you can do has "scientific value", even if it proves that it's not a good idea something is learned; it just that it's less expensive to learn that on Earth. Size weight and power (SWaP) is considered for things aboard a spacecraft that are smaller than an image sensor. A circular saw is by definition 60% useless, you can't use half of it yet it weighs twice it's usable cutting edge. The telescoping attachment adds more weight as does the telescoping shovel to chase after it; also there's the scooping and packaging mechanism that is not needed for a core drill. A smaller one could be devised but you can still only cut ~40% of the saw's diameter. Of course the rover has already a core drill, but that's designed to take samples with very advanced techniques and needs very careful working. "The ROPEC Drill design builds on previous drilling systems such as the Mini Corer, Corer Abrader Tool, and SASSI Drill; improving upon them to achieve a light weight, compact, and highly capable mechanism. The ROPEC drill is designed to support a “One Bit-One Core” approach to delivering rock samples to a sample return canister. This method dedicates a single drill bit to the acquisition of each returned rock core, as shown in Figure 1. After the core has been separated from the base rock and captured within the drill bit, the entire bit is delivered to and stored within the sample cache in an enclosed casing, to ultimately be returned to Earth. This method simplifies the process of caching rock cores by eliminating additional mechanisms required to extract rock cores from drill bits and place them within sealed canisters.". It cuts out core samples almost the full depth of the drill and stores "grade A" cores intact. No transferring or contamination. It's also easy to change bits for different hardness and density, avoiding fracturing as best as possible. Linked article's conclusion: "The ROtary Percussive Coring Drill is a light weight, flight-like, five actuator drilling system prototype designed to acquire core material from rock targets for the purposes of Mars Sample Return. The ROPEC Drill is designed to integrate with a “One Bit-One Core” approach to returning samples from the Martian surface. The ROPEC Drill has a number of different attachments which expand its capability to include rock abrasion, brushing, powder and regolith acquisition, and viewing of rock cores for sample triage purposes. The ROPEC Drill has recently been integrated with a five degree of freedom Robotic Arm and mobility system, and has demonstrated docking with a prototype Bit Station, obtaining a Coring Bit, drilling and acquiring a rock core sample, and delivering the bit to a prototype Sample Cache. All drill attachments have similarly been demonstrated from the same platform.". While it might need improvement the decision of circular saw vs. core drill seems well founded. Trying to saw out a pyramid of pyramids using a saw a bit bigger than 40 cm diameter is going to require 5 levels of 20 cm cuts, a total of 88 little pyramids of 4 cuts each - a total of 352 cuts, with allowances for the hub. If you did that with 4 core drills with extensions, 6", 5 1/2", 4", and 3 1/2" diameter, your final drill on the fifth level could pull a 3" diameter core; a total of 5 cuts. 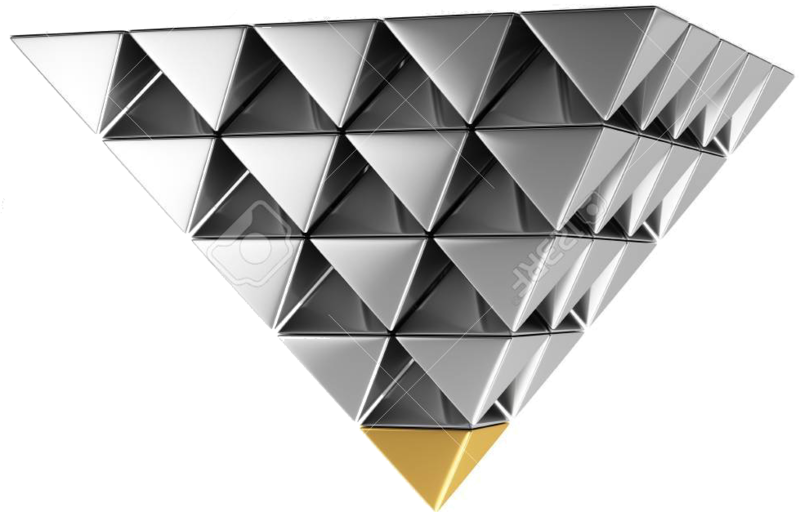 Not only would you have to grab and throw each pyramid but there's a real danger of falling into the pit, something that wouldn't occur with a six inch diameter hole. 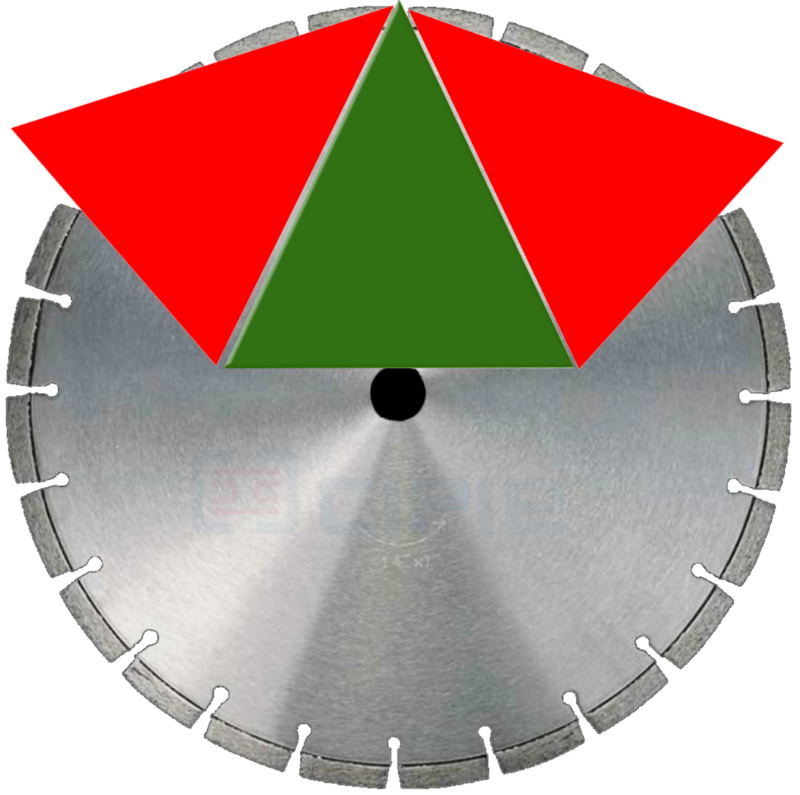 In addition not only is more than half the weight wasted on blade surface not involved in the cut but you are cutting three times as much rock just to cut the pyramidal section. Even with a single layer there's 20 cuts of more than 24 times the material. The wear of the equipment and energy to power such inefficient usage could pay for the core drill. If you were cutting crescent moons you'd be better off than cutting wedges but it's not more efficient than a round hole. A straight line of stepped holes is going to get you deeper faster. The rover already has a core drill for this purpose: it drills through the top layers and exposes the rock underneath. The big advantage of a drill over a shovel is that a drill can go through (most) rock types, whereas a shovel can only scrape off loose rubble. A shovel is an imprecise instrument: you run a straight edge over the soil. The depth of that straight edge is limited by the highest bit of solid rock. Rock is generally uneven, so instead of exposing the rock, you expose one peak and leave a layer of soil/sand/etc everywhere else. The next rover in development (ExoMars 2020) again uses a drill. This one can reach to a depth of 2 m, far deeper than any excavation equipment small enough to fit on the rover would be able to reach. A circular saw that can cut through rock needs water cooling, which is impractical for current rovers. Removing loose rubble with a circular saw is a very messy process, you'd end up covering the entire rover in dust and pebbles. More importantly, you'll spread rubble around the entire area, destroying the context of your sample. Using a circular saw to remove the top layer of rock is complicated: you have to make multiple vertical cuts, and the last cut has to be at an angle. Then you need to lever the loose wedge of rock from the hole it's in. It seems much simpler to me to have a drill that will drill through the top layer and into the pristine rock. When emptying the drill (LIFO), the pristine rock comes out first and can be placed in the sample analysis system, the top layer is at the top of the drill and comes out last. This also allows you to analyse both the top layer and the layers underneath, because you usually don't know beforehand which rocks are old and which are newer. If you were to use a circular saw you would need to use a diamond circular saw. Similar to the type used by assaying labs & mineral exploration or mining companies when they cut core rock samples in half, lengthways. The trouble with using a saw in the manner you are proposing is that it would create blocks they could be difficult to scrape away, particularly if they were still firmly attached to the host geology. It might be better to adapt the mining head used by continuous miners in some coal mines. Alternatively it might be better to adapt a button drill bit to remove harder soil or rock. Not the answer you're looking for? Browse other questions tagged mars rovers astrobiology geology mars-2020 or ask your own question.